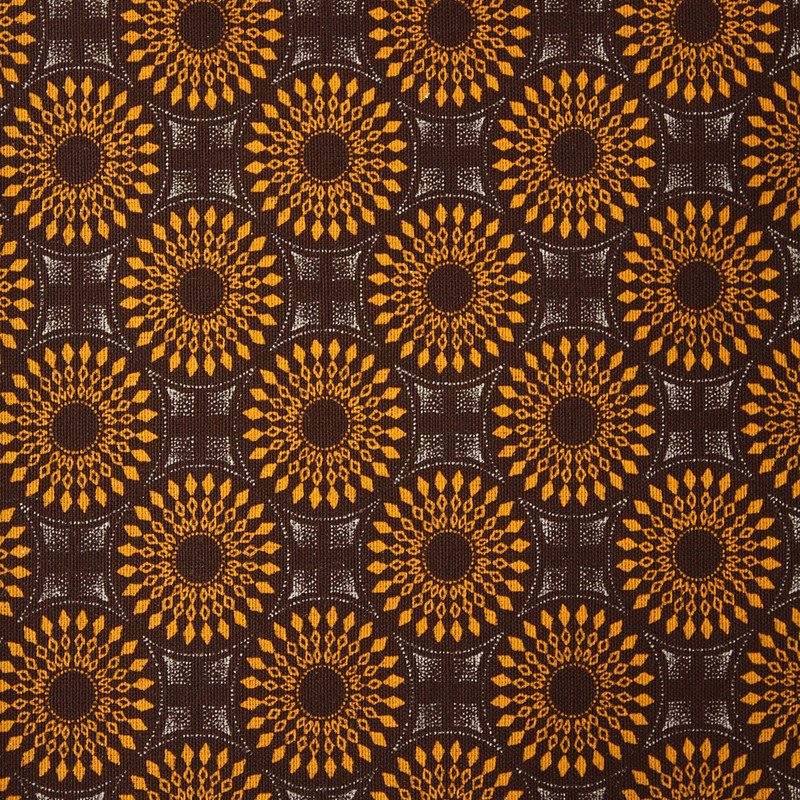 A bold brown and yellow shweshwe print fabric from South Africa. To give you an idea of the scale of the pattern, look at the last image which shows a tape rule with units shown in inches. 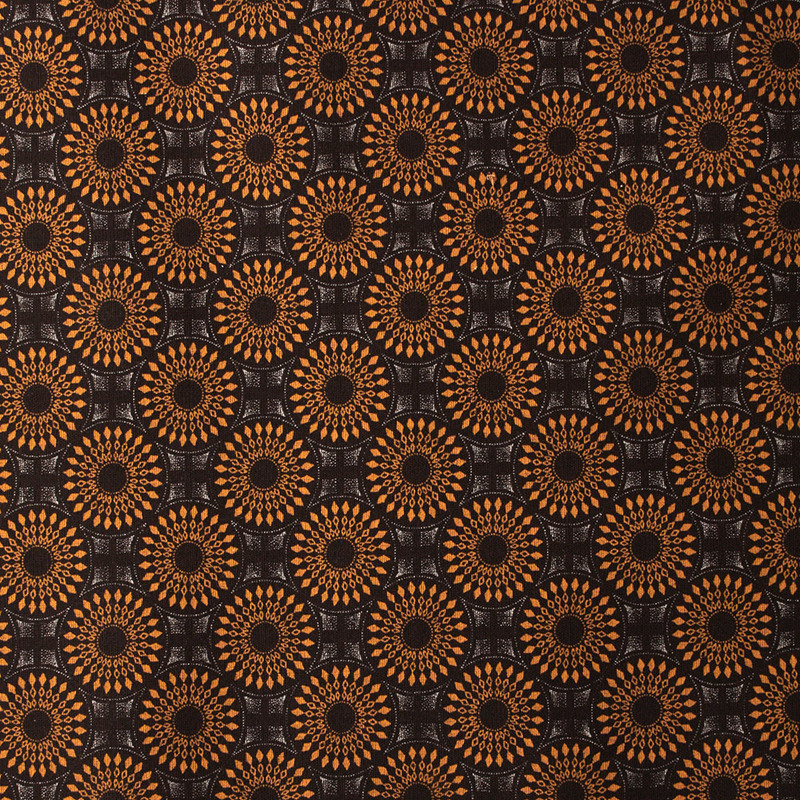 Each circle in the pattern is just over 1 inch wide. 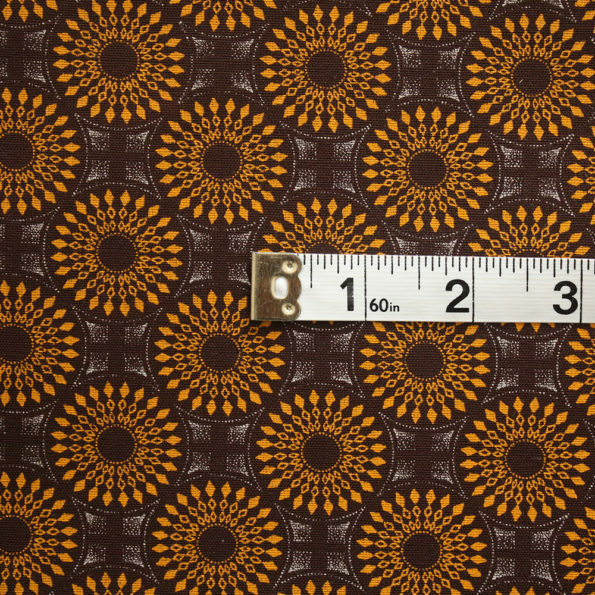 This fabric is sold by the metre and this listing is for one metre of fabric. To buy more than one metre, use the arrows above to select the number of metres you need and a continuous length of fabric will be sent to you. 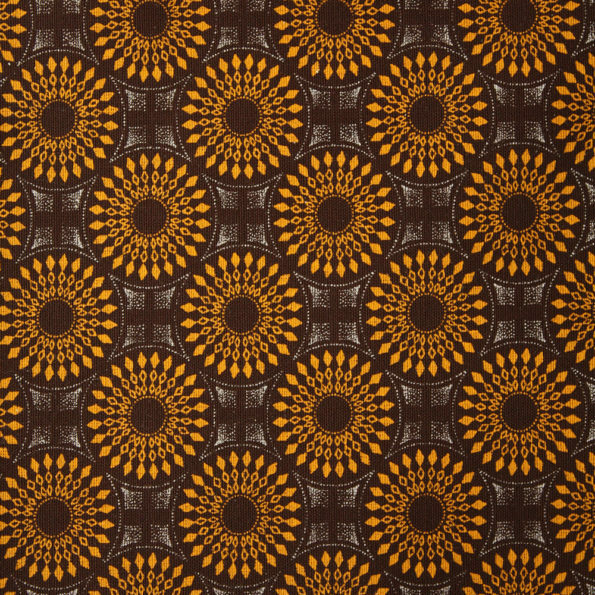 Shweshwe is a printed dyed cotton fabric widely used in traditional South African clothing; dresses, skirts, and so on. 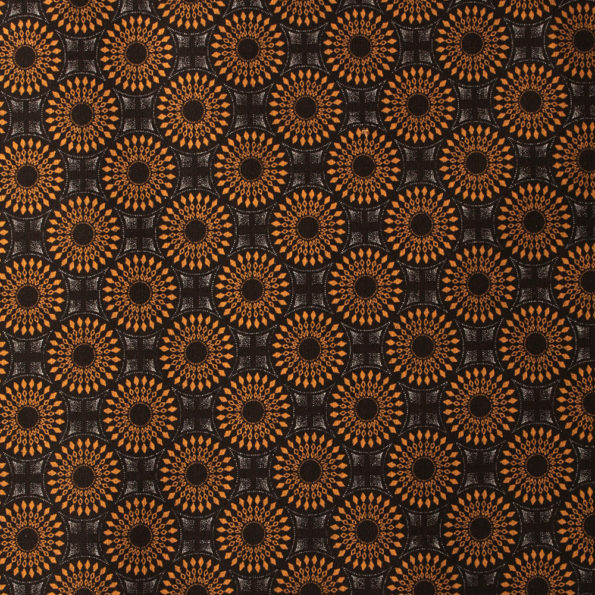 It was originally dyed indigo but is now manufactured in a variety of colours and designs. 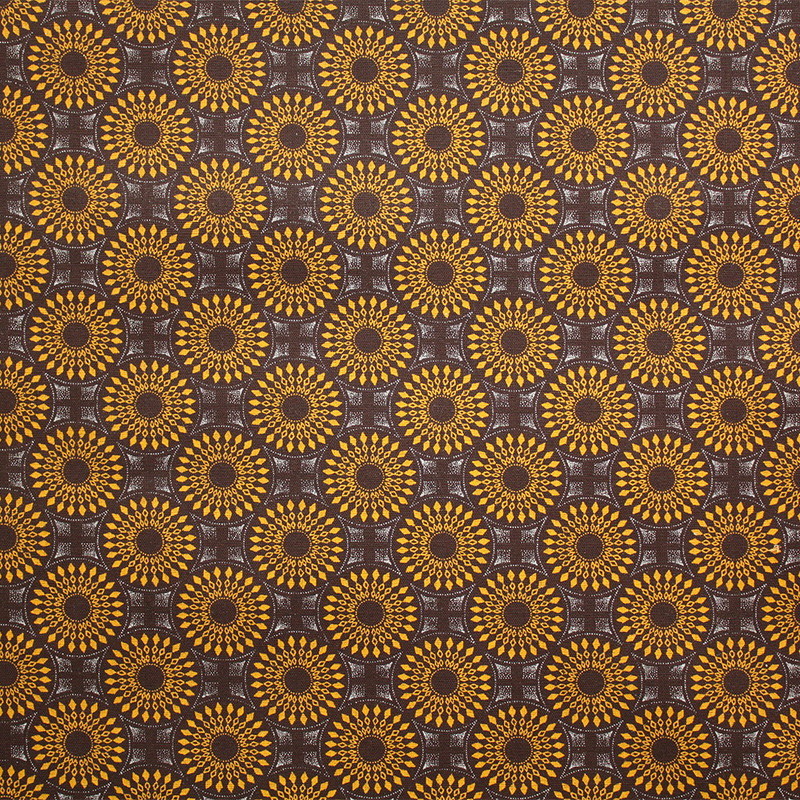 The formal name for shwe shwe is ‘Indigo-dyed discharge printed fabric’. 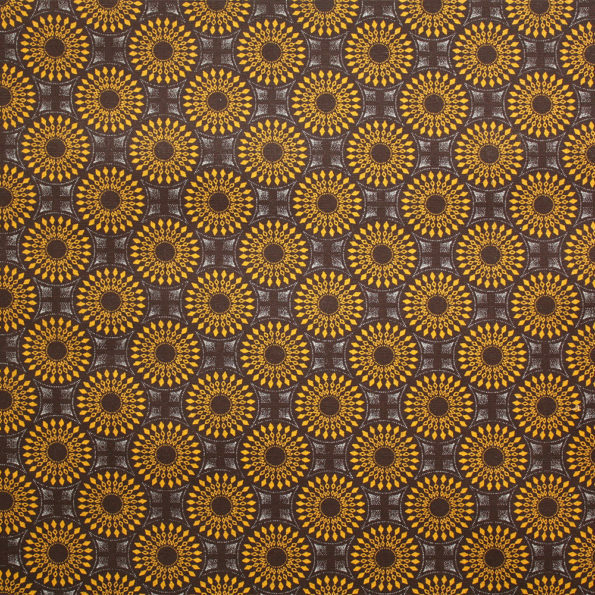 It is a trademarked fabric and is manufactured by Da Gama Textiles in the Zwelitsha township outside King William’s Town in the Eastern Cape of South Africa.